"Presence emerges when we feel personally powerful, which allows us to be acutely attuned to our most sincere selves. In this psychological state, we are able to maintain presence even in the very stressful situations that typically make us feel distracted and powerless." 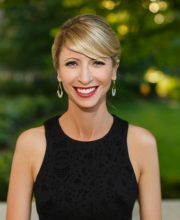 Amy Cuddy rose to worldwide social media fame with her 2012 TED Talk which is the second most viewed talk in TED history. The back cover endorsements of Presence is a who’s who of New York Time’s best selling business books who all rave about the book’s ability to provide profound proof and advice on how to carry oneself in difficult situations with great success. The book confirms the body-mind role in how we perceive ourselves and also how others perceive us. Cuddy is a wonderful storyteller who recounts real people’s life experiences and dissects them to illustrate and exemplify her point. The interspersion of these practical examples makes the book an engaging read. Cuddy provides us with the power to be ‘braver, bolder, and better’. Her goal in writing this book is to give you as much information as possible so that you can claim your personal power, that power from within that will allow you to succeed in the situations that challenge you most. "Our bodies don’t just carry us where we want to go: they can help carry us to who we want to be ... where our body leads, our minds and emotions follow." Cuddy uses the quote from artist Frank Gelett Burgess: “Our bodies are apt to be our autobiographies.” WOW! Our bodies, or how we hold them, are often a reflection of what we have been through until that point—the good, the bad and the ugly. Cuddy shows that with the use of mind-body techniques, such as yoga, we can help rewire the mind’s experiences, and thus the control that the mind yields over how the body presents itself. "The paradox of listening is that by relinquishing power – the temporary power of speaking, asserting, knowing – we become more powerful." People can trust you. Without trust it is hard to influence. You acquire useful information. More information = better decisions, which makes solving problems easier. You begin to see other people as individuals – and maybe even allies. It is no longer us vs. them but rather just us! You develop solutions that other people are willing to accept and even adopt. People involved in finding solutions are more likely to commit and follow through. Ownership of a solution is very powerful. Listening is absolutely crucial to presence. We need to have a sincere willingness to listen to what is being said. We need to suspend judgement – not an easy thing to do. And we need to give people a safe space to be honest – which means not responding defensively. Our individual fear of silence needs to be overcome in order to really listen because the benefits are so great! Curiosity killed the cat; maybe we need to learn CPR! "Of course approaching others with kindness, openness, and curiosity is the best strategy but you’d be surprised how common it is for us to instinctively take a different approach, one that has more to do with demonstrating our own power and control." Cuddy talks about how we quickly “size someone up” when we first meet them. She says we ask ourselves two questions: “Can I trust this person?” And, “Can I respect this person?” She refers to these dimensions as warmth and competence and we typically judge people to possess more of one of these qualities than the other; rarely are people equal in both. Ironically, when asked which trait people would prefer to be seen as, trustworthy or competent, most choose competent. What people need to realize though is that trust “is the conduit of influence and the only way to establish real trust is by being present.” With Presence, trust grows and ideas flow freely. If you are not trusted first you tend to be seen as a manipulator – you won’t get very far. Your ideas are useless unless they are presented by a trustworthy person! Always try to “connect” with a person first on a more personal level before trying to show your competence. Cuddy affirms that building this trust is the best route for success. Amy Cuddy’s work with how to establish individual Presence is brilliant! There is just no other word for it. There are so many tips and strategies through the book to help us be aware and potentially change our body language, behaviour and mindset in those nerve-wracking situations. Cuddy presents all of her work with such passion to help those of us who are anxiety-ridden over job interviews, presentations or other situations of dread! Her much quoted line from her TED Talk is, “Don’t fake it till you make it, fake it till you become it.” Becoming the best version of you during challenging times allows you to feel more powerful and present. Presence is the roadmap to a better you. Do you want to take the trip?